Every now and then a conference – and I’m at one now – is enlivened by masterful presentation, brimming with insights on vital matters, the whole sharpened and enhanced by intelligent use of humour. Such was the talk given by Walter Ricciardi, President of the Italian National Institute of Health. It was entitled From evidence to action in health policy making: a mission impossible? His subject was how senior clinicians concerned with the strategic direction of health, and convinced of the value of practising evidence-based medicine (the theme of the conference) could work with politicians in government to take the necessary decisions. I’m keen on evidence-based medicine. That may sound like a trivial statement: who wouldn’t be? Well, you might be surprised how often medical decisions are taken on the basis of a clinician’s gut feel, or confidence that years of experience are enough, rather than evidence. Worse still, they’re often taken on the basis of politics: for instance, the UK government has made funds available to allow GP practices to stay open later, without putting in place any kind of process to check whether the move leads to any of the desired effects – most notably reducing attendances at Emergency Departments of hospitals. The reason why Ricciardi feels this kind of discussion is vital now is the well-known observation that demand for healthcare seems to keep climbing uninterruptedly, as the population of the advanced economies ages and the technology available for care increases in sophistication (and cost). As he suggested, there has to be a limit to the amount society can sensibly be asked to invest in healthcare. That reminded me of a presentation I attended some years ago, when one of the speakers pointed out that, on present trends, the USA would be spending 100% of its GDP on healthcare by the end of this century. That’s clearly impossible – something has to go into schools and roads and things, to say nothing (this is the USA we’re talking about, after all) about defence. So what is the maximum US citizens will accept? 50%? Surely that’s too high. 30%? It’s hard to imagine. 20%? If so, things are urgent indeed: they’re already spending 18%. That’s without even providing full healthcare coverage for the whole population. Limiting healthcare expenditure, wherever the limit lies, means that at some stage we’re going to have to start denying care. That’s where evidence-based medicine comes in. There are a great many treatments that could be denied without doing patients any harm – indeed, where the denial would do them good. At one end of the scale, prescribing antibiotics for viral conditions harms us all and does no good to the patient. At the other end, intense and highly expensive interventions for a patient with a fatal condition can wreck the end of a life and incur huge waste. We have to start finding a way to avoid this kind of wasteful, if not downright harmful, way of practising medicine. That’s where Ricciardi turned up the humour a notch or two. He suggested that the people who understand the issues have a vocabulary of 140,000 words; the general public, and he included politicians in that category, a mere 7000. I don’t know where those numbers came from. Frankly I find them highly questionable. In fact, I’m inclined to ask, where’s the evidence? However, the underlying point is worth making: specialists in medical information need to find a way of communicating the case for some of these notions more effectively to the population. They need to persuade politicians of the need for action, and help the politicians find the words to express their decision in a way voters will accept. At this point he made a point I found particularly amusing, though he may have meant it seriously. 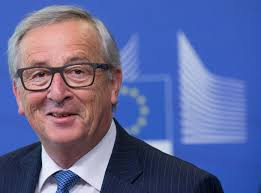 He referred to Jean-Claude Juncker, President of the European Commission, as intelligent and honest. It was wonderful to see how the English in the room all started in their seats and shuddered: Juncker is viewed as a figure of derision in England. He’s disliked in a great many countries, but it was striking how much stronger the English reaction was. Jean-Claude Juncker: a smart and honest politician? Not according to the English, but are they right? Now, that really is both honest and true. The things that need doing are tough to make popular. A politician that does them may indeed find it hard to win office again. 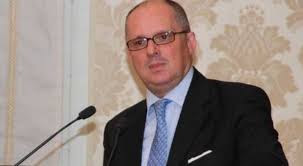 There’s an excellent example in Ricciardi’s own country, Italy: the Italian government has taken an extraordinarily courageous decision, to make childhood vaccinations compulsory. The anti-vax movement has reached dangerously high levels, with herd immunity being lost and long-vanished diseases like measles and mumps making an appearance again. The government took the action necessary, based on the mass of evidence available: the potential harms of the vaccinations are less serious and less common than those of the diseases they eradicate. But will they have persuaded the voters that the decision was right? Popular anger in response to the measure was intense and widespread. We’ll see in next year’s elections how well the government has done in taking popular opinion with it. It’s important to practise evidence-based medicine. But it’s just as important to find the words to explain what you’re doing. The former is what we have to do but, without the latter, the politicians who do it will be unable to stop their achievements being unravelled by their successors.